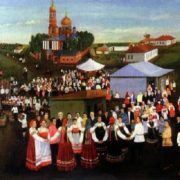 In the world there are a lot of talented artists working in the genre of naive art. However, not every one of them has a monument installed in their honor. 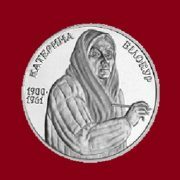 In honor of Ukrainian self-taught artist Katerina Bilokur installed several monuments, along with the house museum dedicated to her work. 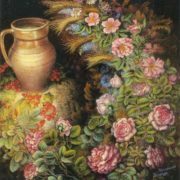 Ukrainian folk artist Katerina Bilokur was born in the village of Bogdanovka near Kiev in a family of peasants. In the early twentieth century village the girls destined to early marriage, caring for her husband and children, chores housework, and work in the field. Belokur did not study in the school for a single day. The lack of primary education prevented her from studying at art school. However, the dream of the girl from a simple peasant family came true not because of fate, but in spite of it. 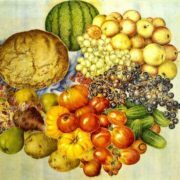 And despite the fact that in rural areas it was impossible to get any ink or paper, she made homemade brushes of twigs and scraps of wool and painted on pieces of fabric. She felt envy for the youngest little brother, who was sent to study in the school, because he had a notebook! Once Katerina took one of them and drew wonderful pictures. Hoping to please parents, she hung in her fabulous images. Her father, seeing such creativity, burned them in the stove. Since then, parents were strongly against, and not only forbade her to draw, but even punished with rods for creativity. 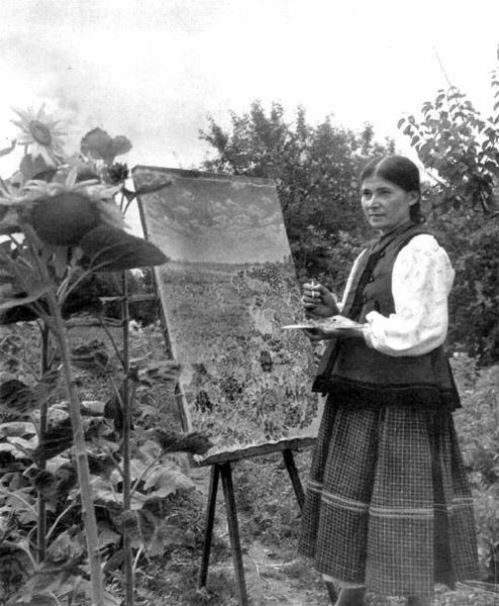 No matter what, she continued to paint. In 1934, driven to despair harassment of the mother, she tried to drown herself in the river in front of her. 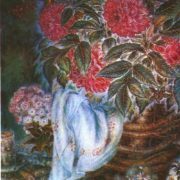 Only after a suicide attempt mom allowed her to draw and didn’t force her to marry. And Katerina, after spending some time in cold water remained disabled for life. 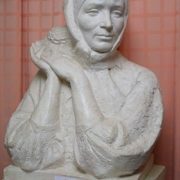 The monument to a simple peasant woman appeared in the village of Bogdanovka, Kiev region, where she was born and spent her entire life. 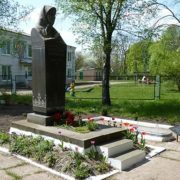 The monument is next to a memorial museum of the artist. 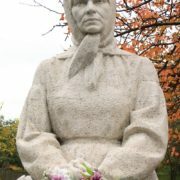 The author of the monument – Ivan Bilokur, the nephew of the artist. 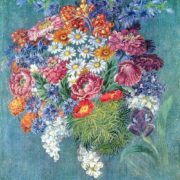 The house keeps personal belongings, documents of the artist, some pictures, and the last work that she did not have time to finish, it stands on an easel – dahlias on a blue background. Personal life of Katerina was not happy as well. 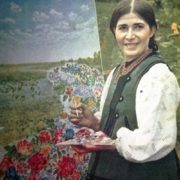 She was an attractive girl, and could have enough fans in her native village, but none of them did understood her passion for painting. Grooms were surprised and demanded to leave the creative dreams, saying, “How? My wife will be an artist!?”. And Katerina herself was in no hurry to get married. Even in adulthood, she felt lonely. Of course, she wanted to share her joys and sorrows with someone else, but in the village she was not understood. 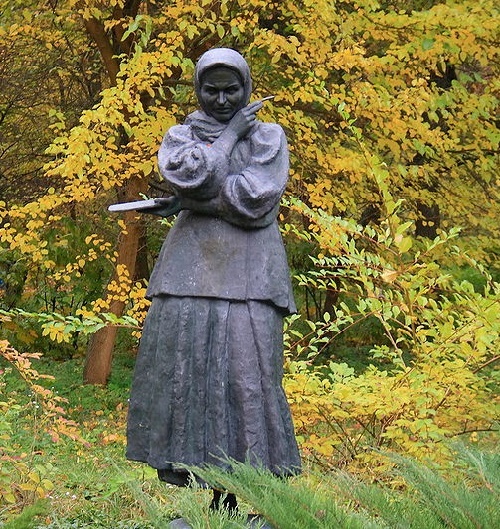 Her thoughts and feelings she had left in her letters to the Kiev art historians. Her lines are imbued with lyricism and sincere credulity. 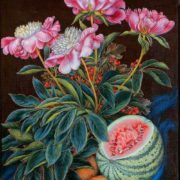 Almost all her life she had to fight for the right to draw, and despite this, her paintings radiate enthusiasm, and worship for the gifts of nature. Field and garden flowers reflect the view of the world by fascinated little girl.